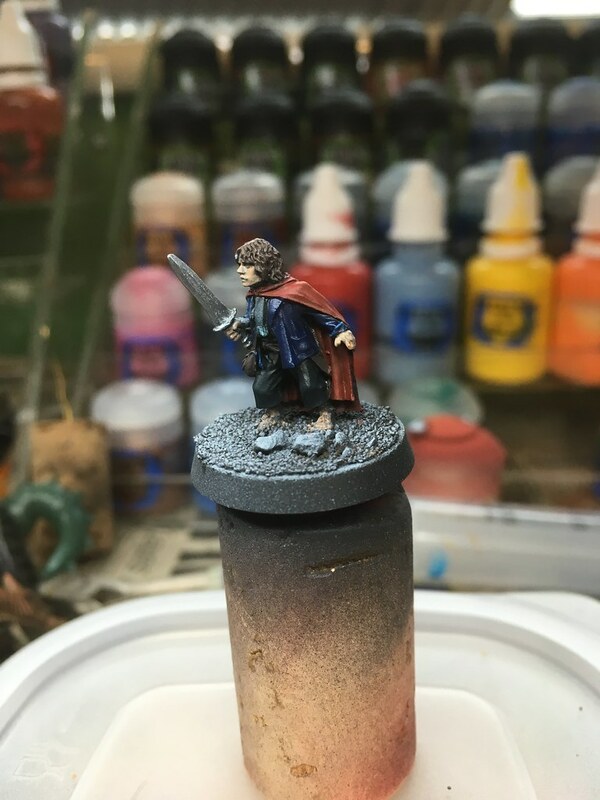 The sculpt from the original Fellowship of the Ring box set has quite a good likeness to the actor from the movies, so I was looking forward to getting to work on him. I used my normal zenithal undercoating as a starting point, which helps me to see the details of the miniature, and anywhere we’re I’ve missed some molding flaws that wouldn’t be visible with a flat undercoat. 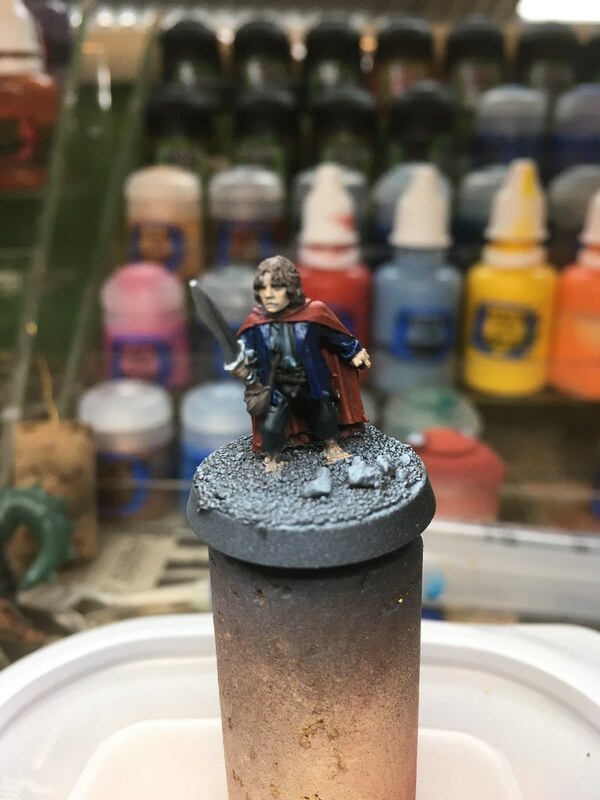 As you can see from the photo below, it nicely picks out the details, which I find helps with painting, even if it doesn’t really affect the final result. It also helped me spot the various little spurs coming from the scarf, jacket and left finger that I missed during the prep of the miniature, so I was able to trim this off and brush some primer on. Undercoated – spot the bad preparation with various metal spurs! 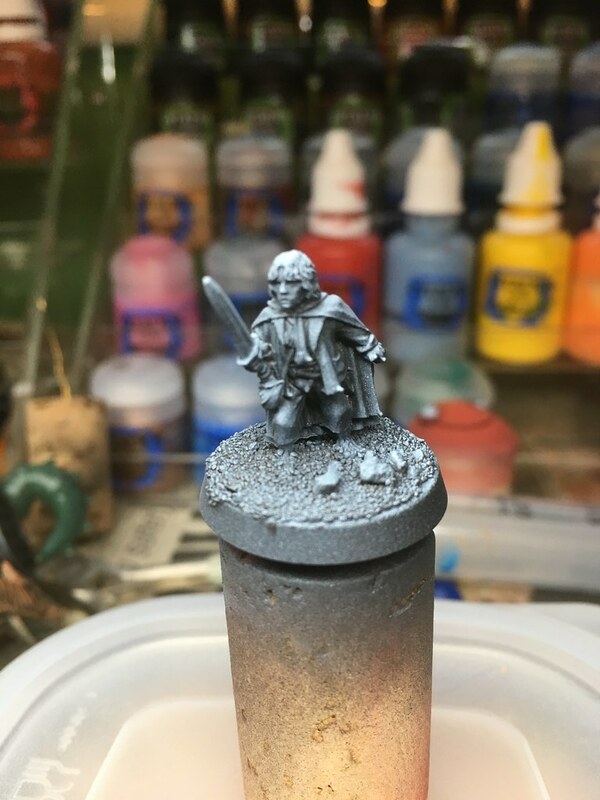 Due to the scale of the model, I don’t see the point of focusing on small areas to completion – I’m more likely to screw up a completed section when basecoating, especially with such a small miniature, so the first step here for me was to block out the main colours. 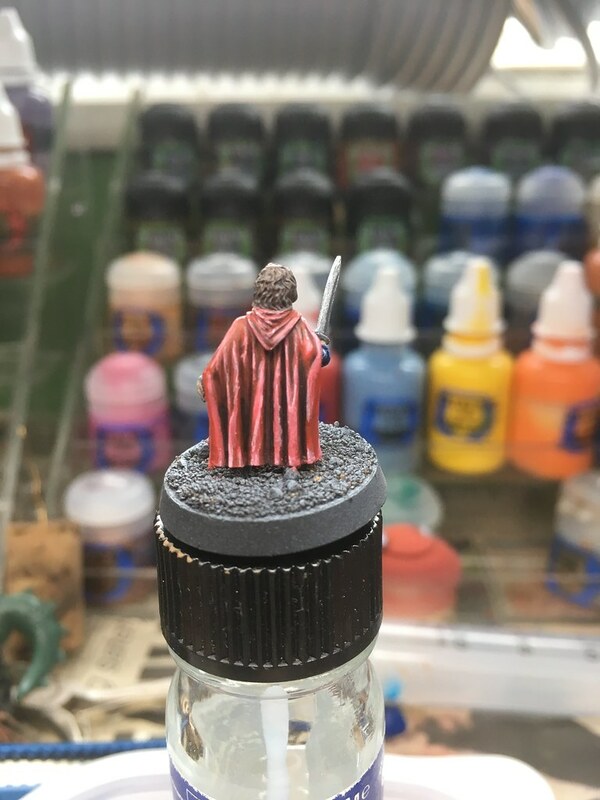 I started the morning highlighting the morning highlighting and shading the cloak. There’s some nice folds in the sculpt of the cloak, giving me plenty of opportunity to work out highlights and shadows. I then started working on the jacket. I wanted quite a bit of contrast here, but I think it’s probably too stark, so needs some glazes to take it down a level. 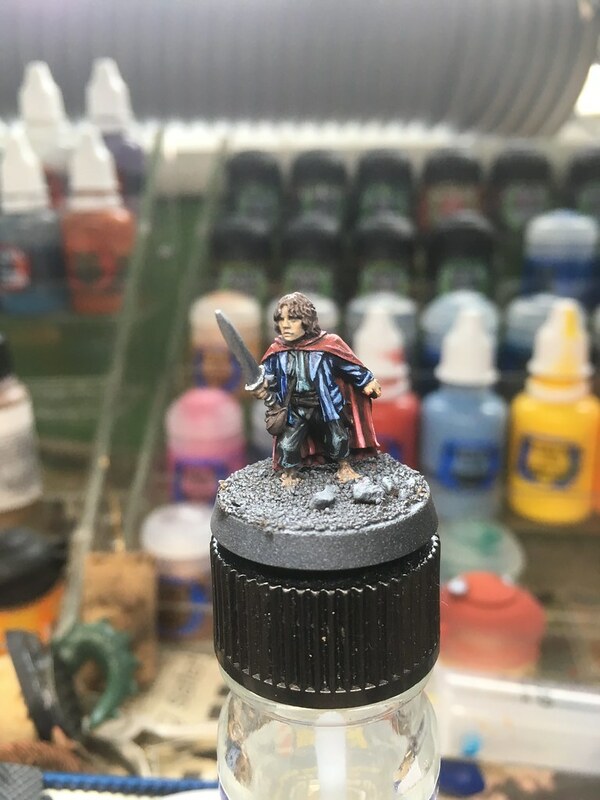 Since these photos were taken, I also did some work on the face and the hair, and applied the glazing mentioned above; however as the face is a little messy at the moment due to the challenges of painting such small eyes, I decided not to post any more pictures until it looks a little neater!